It's important for you or your students to have a good, quality training sword to hone fighting skills with. 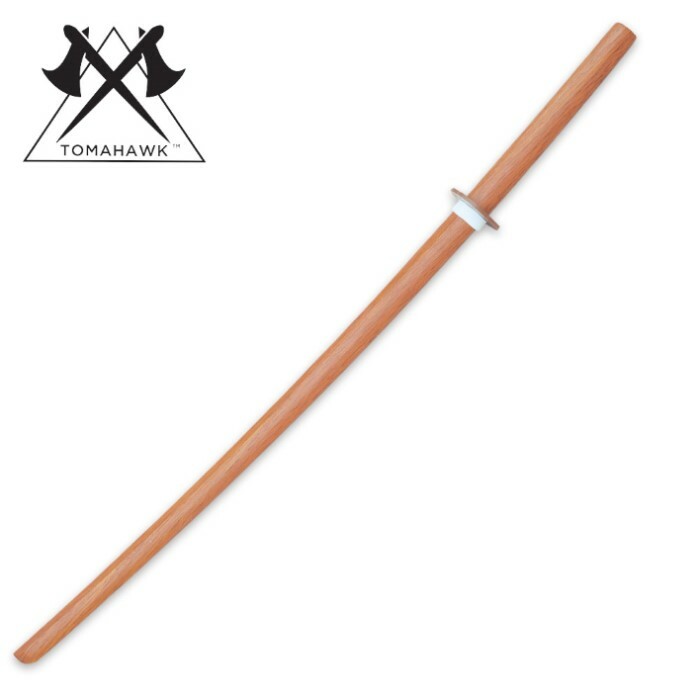 This natural wood training daito has a solid construction and is 40" in overall length.It features a tsuba just like a real sword. It is a great item for the intense training required to master the art of sword fighting!